Creative Assembly will be hosting a Total War: ARENA live event at the ESL Studios in Cologne, Germany. Livestreamed across Twitch, the event will offer viewers the chance to see live gameplay from the massive battle strategy game for the first time. Total War: ARENA is a free-to-play, team-based strategy game, putting players in the middle of epic-scale battles. 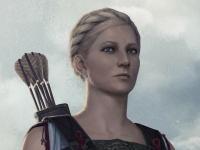 Using key elements of award-winning Total War™ design, it is made from the ground up for multiplayer real-time strategy fans, with 10v10 players going head-to-head. 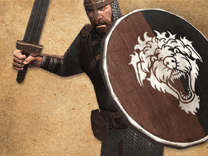 The event will feature developers from the Total War: ARENA team, and the opposing sides will be formed of popular faces from the Total War community, with renowned eSports commentator Leigh “Deman” Smith casting on the day. Hosted live from 5pm until 9pm (CEST) on the Total War Twitch channel the event takes place on Saturday, May 23rd. For further information on the game and this event, head over to the Total War: ARENA Facebook page: facebook.com/TotalWarArena. 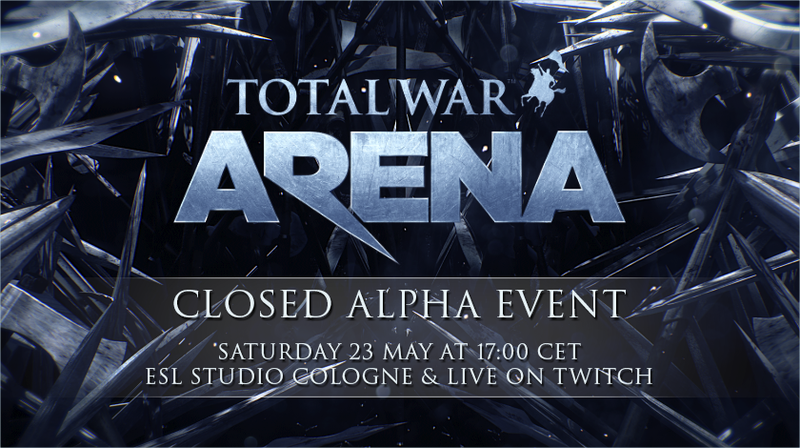 To sign up for Closed Alpha go to: https://nda.creative-assembly.com/total-war-arena-closed-alpha. The Closed Alpha is currently only available to EU regions, with US servers coming soon.